We know the vermentino is getting close when it starts to turn golden Everyone around us has picked theirs, but we're holding out and going for the gold and more flavor and complexity. Should be picking in about 10 days. I’m holding a bottle of wine it's taken me almost sixty years to make. I pull the cork and pour a few ounces into a more-or-less clean Mason jar. It seems we are going back in time. Decades ago, when I was building a new fine wine distribution company, I would take winemakers that are now wine legends - Angelo Gaja, Dominique Lafon, Josh Jensen, Tony Soter, Cathy Corison, Richard Sanford and others around Chicago, where we would pour samples of their wines into small plastic cups and try to convince buyers to give these newcomers a shot. Needless to say, those buyers never got a glimpse of the true greatness of these wines and winemakers out of those little plastic cups. Fast forward from the 1980's to 2017 and selling great wine is a lot more glamorous, right? Sharing your wines with the sommelier at Castagna or Nostrana could not be more pleasurable - if you make good wine that is. Yet, all to often, we've not progressed beyond those pitiful little plastic cups. In states that allow both distributors and retailers to sell wine and spirits, the profits from spirits make their cash flow work. These profits from quick, large-margin spirit sales are the lifeblood of large liquor stores, which give them the opportunity to build broad, but slower selling wine selections. In states like Oregon, where spirits sales are ridiculously limited to state controlled “liquor stores” that means amazing wine and spirits stores like K&L, Binny’s and Zacky's cannot exist. In state controlled Oregon, grocery stores have a significant advantage over wine-only shops as they have many other products to give them the cash flow required to support the inventory in their wine department - just like full-service liquor stores in other states. This means that I spend a lot of time in Oregon selling wine to grocery store buyers. While tasting wines with buyers in the back room of a grocery store out of old Libby glasses may not have the panache of sampling your wines in Riedel on white tablecloths it's just as important to your sales. Also, most of these grocery store buyers are just as serious as any sommelier. They too are passionate to find wines that their customers will love. Also, like a sommelier, they are out on the front lines and if the customer does not like a wine they are just as likely to blame them as to blame the winery. It's not a bad system. Or, at least it used to be not a bad system. Fine wine and corporations do not mix well and management at some important Oregon chains are taking their local buyers out of the game and sending them home with Mason jars of wine in their backpacks. No longer can you taste your wines with these buyers. You go into the back room, among the storage shelves of dog food and canned goods and pour your samples into well used Mason jars or some other even less glamorous receptacle. You pour your wines into old jars or bottles as the buyers are no longer permitted to taste wines on the job. Which, as that is a big part of their job seems, well for lack of a better word, stupid. We go to a lot of work to be sure our wines are presented and sold in the proper condition. Pouring them into a Mason jar that is then tossed into a backpack, that may spend time in a hot car or that then may not be tasted for days is not fair to us or the final consumer. Grocery chains should treat both their wine buyers and the wines they buy with more respect considering the significant profit they generate for these corporations. Next time you buy a wine in a grocery store you don't enjoy, please don't blame the wine buyer. The wine they tasted from that Mason jar after it had sloshed around in their backpack while they rode home on their bike on one of those one-hundred degree days last week probably did not taste much like the bottle of wine you took home. In thirty years we've graduated from plastic cups to Mason jars. A long way, baby, we've not come. You're at the store with two pieces of cheese in your hand. They are equal in size. They are the same price. One is Grana Padano the other is Parmigiano Reggiano. You'd buy the Parmigiano right? The king of cheeses, why not go for the best? But think for a second. These two pieces of cheese are the same price. That means you're probably getting top-of-the-line Grana Padano, while the Parmigiano is almost certainly mass produced and on the lower end of the Parmigiano spectrum. Do you want to pay for the name or the cheese? You're at the store with two bottles of wine in your hand. They are equal in size. They are the same price. One is cabernet sauvignon the other is syrah. You'd buy the cabernet right? The king of wines, why not go for the best? But think for a second. These two bottles of wine are the same price. That means you're probably getting top-of-the-line syrah, while the cabernet is almost certainly mass produced and on the lower end of the cabernet spectrum. Do you want to pay for the name or the wine? Grana Padano and Parmigiano Reggiano are the same type of cheese. While at its pinnacle many connoisseurs consider Parmigiano the ultimate expression of this style of cheese, there are many passionate producers and consumers of Grana Padano that would take exception with their position. One thing I've learned is that dollar-for-dollar you get better value for Grana than you do with the more famous Parmigiano. Often it's a far better choice to buy the most expensive product with a less famous name than the lowest price product with a more exalted name. I apply the same strategy to buying wine. If I have $30 to spend cabernet sauvignon, pinot noir and chardonnay don't even enter my mind. My thoughts go to gamay, syrah, tempranillo, aglianico, vermentino, chenin blanc and on and on. Today it seems the choices are limitless. Like the Reggiano cheese place name, many wine appellations get bonus points for name recognition that spot them extra dollars on each bottle over their competitors. When you buy wine from a famous place name you pay a premium for that privilege. Is it worth it? Sometimes yes. There are experiences you can get from Bordeaux, Burgundy, Barolo and Napa that are truly sublime. But with the $30 I want to spend, sublime will not be found in those appellations. You can find extraordinary wine experiences on a budget if you're willing to go beyond these famous place-names. Think El Dorado, Mendocino, Rogue, Sablet, Madiran, Languedoc, Corsica, Sardegna, our own Applegate Valley and, as with the varieties, the options go on and on. Never in the history of wine has it been easier to drink great wines without spending a fortune. Next time you're in a wine shop hold that bottle of cabernet in one hand and a different wine from a place or variety you don't know in the other and ask yourself what you want to pay for - the name or the wine? This weekend there was a wine article in the New York Times by Bianca Bosker, but it was not in the Food Section, you had to veer over to the Opinion Section to find it. These days the Opinion Section of the New York Times has been a refuge I seek out when trying to reclaim my sanity in these insane political times in the United States. However, today there was little comfort there as, in addition to the missives from both the right and left assaulting Trumpism, I found a piece about wine. Well actually not about wine, but about the business of a beverage alcohol product that also uses the noun wine to describe itself. “Ignore the Snobs, Drink the Cheap, Delicious Wine,” screamed the headline in the New York Times, but the word wine should have really been replaced by, “beverage alcohol produced from grapes,” but that would not have gotten nearly as many clicks. There certainly are cheap, delicious wines and I seek them out all the time. Oddly enough, considering this article, these cheap wines I like to enjoy on a regular basis are made in a natural style. Cheap does not have to mean “Two Buck Chuck”, which is produced with less integrity than Coca-Cola. At least Coca-Cola is honest about containing sugar, which industrial wines are not. Cola-Cola has to list the ingredients it puts in the bottle. Two Buck Chuck does not. Most people are all in favor of ingredient labeling for food products, yet for beverage alcohol not so much. The big wine producers shouldn't worry about ingredient labeling when it comes to their products. Those that grab their bottles of “Cheap, Delicious Manufactured Wine” are unlikely to be deterred. The author, Bianca Bosker, says, “The time has come to learn to love unnatural wines.” It seems to me the world, or at least Americans, love unnatural wines already. Most of what is thoughtlessly swilled down under the name “wine” is beverage alcohol made from grapes, and not very good ones at that. Americans need to understand that natural wines are good values too. Not every “natural wine” comes from some ultra-chic biodynamic Burgundy domaine, but they also come from impassioned winemakers selling under $20 Beaujolais, Muscadet, Valpolicella and includes wines from California, Oregon, Washington and the rest of the New World. There is a lot to choose from. 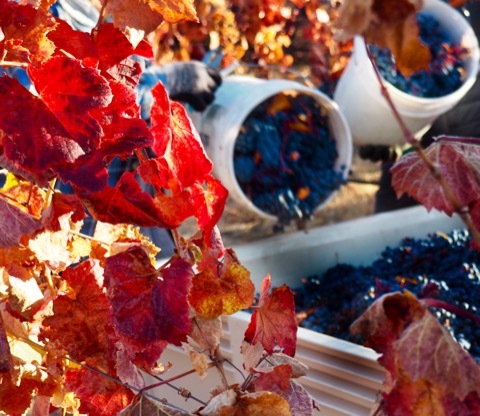 In her article, Ms Bosker describes the process of producing industrial beverage alcohol from grapes. It made me realize that although soon I will have been in the wine industry for four decades, never once have I knowingly met one of these technicians and know essentially nothing about that end of the business. What was clear from this article is there are two winemaking worlds. 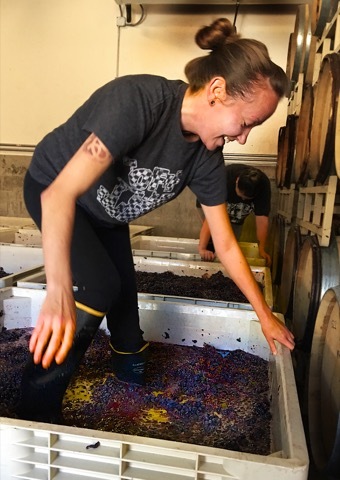 One where a winemaker makes what they believe in and then seeks out customers that share their vision and those that make whatever beverage the marketing department says the consumer wants. Oddly, this last group includes everything from the cheapest to the most expensive wines. At least those on the low end of the price spectrum possess the integrity of honestly knowing the value of what they produce. Winemaking technicians that pursue the corporate winemaking way are not to be disrespected. What they achieve is a technical marvel. To take an agricultural crop and produce hundreds of thousands of cases of a uniform, repeatable and stable commercial product that exactly matches the flavor profiles that your marketing department has defined is an amazing skill. I have no idea how they do it. As a winemaker on the other end of the world from those described in this article, I was comforted by the support on Twitter from wine writers Eric Asimov and Alice Feiring and the general rage against the article on social media, but I think the wrath aimed at the writer was off the mark. She was simply reporting the truth. The beverage alcohol side of the wine business appears to dwarf those of us committed to terroir, sustainable agriculture and natural, or what I would call real wine. Real wine is an expression of time and place, while industrial beverage alcohol produced from grapes is, very simply, just another alcohol delivery system. Consumer flavor trials do not produce poetry in a glass, but they do provide a solid buzz. In between the excesses of the extreme edge of natural wine movement and dull industrial wines, there is a whole world of excellent, more-or-less natural wines being made without one consumer focus group being involved. The article says, “the time has come to love unnatural wines.” But why? The shelves in wine stores throughout the United States are full of wines from Spain, Italy, France and the entire New World that are made in a natural way with minimal handling. Writes Bosker, “when it comes to sub-$40 wines - the winemaking process can be surprising high-tech.” That’s only true if you insist on buying neutral wines from big industrial producers. The simple truth is that the vast majority of winemakers in the world are small and make their wines in a more-or-less natural way. That under $40 price range is full of beautiful wines from Beaujolais, the Côtes du Rhône, Valpolicella along with New World Zinfandel, Syrah, Grenache and many other examples of delicious, more or less "natural" wines. There is only one thing the under $40 consumer, or those at the $9.89 average price quoted in this article, needs to do to drink natural wines and that is stop buying wines made from famous varieties like cabernet sauvignon and chardonnay from famous places like Napa, Bordeaux and Burgundy. Oh, there is one other thing, stop buying wines in most grocery stores and take the time to find a decent wine merchant. Buying wine from a real wine merchant that you have developed a relationship with is the most important thing you can do to save money in the long run. When I first sit down and think about what kinds of wines we will produce at Troon in the next vintage, my first thoughts do not go to the consumer. First I think of the varieties and the vineyards we have and what I believe will be the best wines we can make from them. Then, when we make the best possible wines we can, I go out in search of consumers that agree with the vision that we have expressed in the wine. That is the advantage of not making very much wine. We can make what we believe in. The wine we make is an extension of us as people working in agriculture. I understand that those making hundreds of thousands, if not millions of cases, do not have this luxury. However, when you take all the small producers in the world making natural wines based on personal vision and nature and combine our productions we too make millions of cases. The world is filled with both millions of cases of processed industrial wines and millions of cases of natural artisan wines. Often the prices are the same. You do have a choice. Apple’s technology has kept pushing me to evolve new workflows with each new generation of releases. As an “early adapter” to a fault, I have rushed to get each shiny toy. I ordered my 12.9” iPad Pro on the day it was released. It’s a great machine. However, now almost two years in I find I’ve abandoned my obsession to force it to become a laptop replacement. It just can’t compare with my MacBook Pro 13” (late 2014) souped up with TextExpander, Better Touch Tool, Keyboard Maestro, 1PassWord and other great apps. The additional power, speed and ease of use is more than worth the extra weight, which with each new version of the MacBook is becoming less-and-less. Lately I’ve found myself picking up my older 9.7” iPad Air, not my big iPad Pro when I want to work on my iPad. That smaller size is perfect for the activities I want to do on my iPad, which include media consumption, reading, social media, writing, email triage, proofreading, photo management. However, not being able to use my Apple Pencil, Touch ID, Spit Screen and other Pro features really prevent me from doing real work on the iPad Air. My desk work setup has been the same for years. I plug my MacBook Pro into, now aging, Cinema Displays, one at home and one at work. Slowly, but surely, these displays have become less useful. You need an adapter to connect them to my current MacBook, the ports on the rear no longer work and honestly they just don’t look great compared to the Retina screens on all my other devices. Obviously they’ll work even worse on a new MacBook Pro and as I am planning to get a new one when they release the next generation (I want at least 32GB of RAM) it is clearly time to rethink my entire workflow. It seems to me the new MacBooks with Touch Bar changes everything. Even though I have only played with the Touch Bar in an Apple Store, I love the concept. Obviously the Touch Bar makes the idea of using an external keyboard somewhat pointless. To Apple, Cinema displays are a thing of the past. So here is my vision of my new workflow, which means all of my existing equipment will get sold or handed down. For my MacBook Pro I will be moving to a 15” so that I have maximum screen real estate and can fully exploit the Touch Bar. This means my Cinema displays are gone and I just commit to a larger screen MacBook as my main interface both at work and at home. I’ve tried the current 15” MacBook Pro in an Apple Store and the display is gorgeous and it can easily have two apps on a split screen that the 13” cannot and that’s huge for me. For my iPad Pro, as soon as the rumored (all of these rumors have come true for years) 10.5” model comes out I’ll upgrade to that size as it will greatly improve all of my regular workflows and allow me to use my iPad as a laptop replacement only as necessity demands. I’ll keep my old iPad Air for videos and music when I travel as long as I can. Of course, I will include a iPhone Plus to tie all of this together. This seems a leaner, meaner workflow based on essentially three devices. It also seems to me a more efficient use of each device, while clearly using each for what it is designed for by Apple. The idea of fewer devices, screens and adapters is very appealing to me. It is also very exciting that I can carry all of my work hardware in my briefcase. These are all exciting, brilliant tools that make getting things done pure pleasure. No one does this better than Apple. For decades I’ve been enjoying wines from Cahors, Madiran, Sardegna, Corsica, the Languedoc, Provence, Puglia, Romagna, Sicilia, Marche, Campania, Calabria, Basilicata and on and on. Delicious wines crafted to bring pleasure to your life - to make it better. Now I’m making wine in the Applegate Valley of Southern Oregon and it feels good to be part of that club. 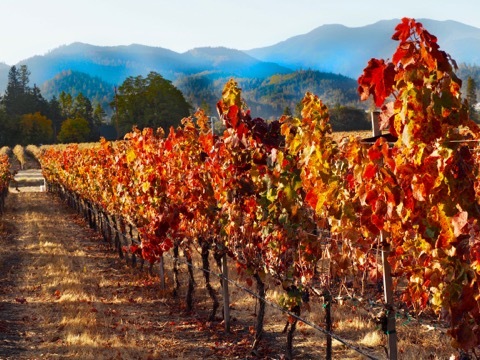 So many winemaking regions aspire to be Burgundy, Bordeaux, Champagne - and now Napa because that’s where the big money and points are, but, as famous and expensive as they are, they are not where the soul of wine is to be found. Just a few decades ago you were not likely to find the wines from Cahors and the other regions I mentioned above, and their many cousins, outside of the regions where they were produced, but today they’re almost everywhere. I'm aspiring to join them. There are certain pleasures and freedoms in making wine in a no-name appellation from varieties never likely to become fighting varietals. First among those freedoms is the privilege of taking real risks that have the potential to make your wines better. First among those pleasures is being able to sell your wines at a moderate price - in making wines people can afford to drink. When you have no star power there are no multi-million dollar auctions with celebrities, no obsessed collectors willing to pay (or actually hoping to pay) outrageous sums for the privilege to possess a few bottles. There are only people looking to enjoy your wines with friends and family. To pull a cork from a bottle of your wine with anything from a Wednesday night cheeseburger to a special birthday party with friends. There is no ceremony when your corks are pulled as everyone is just having too good of a time with each other. There is something that really feels good about making wine for, well, people. As pretentious and high-profile as expensive wine imbibing can be, most of the world’s wines are industrial plonk, nothing more than beverage alcohol. Our big wine stores are full of these wines. You go to a grocery store and there is row upon row of chardonnays (or cabernet or merlot or pinot noir), but in reality, they are all more-or-less the same wine. In fact, sometimes they literally are the same wine despite sporting different labels. The truth is in the world of wines the ones that offer the most pleasure, individuality and affordability are the bottles from places you may not have heard of, not from the names that are famous for being powerful brands or for being objects of desire for those with unlimited funds. In-between the plonk and the pretense is real wine. I am not talking about cheap wine here. These are wines the sell from about $15 to about $50. They are expensive wines for the majority of wine drinkers and they have a right to expect something made with integrity and passion. These are unknown emotions in industrial wines and surprisingly rare in expensive ones. It’s not about funny labels or big points, it’s about bringing pleasure into people’s lives. Now the Applegate Valley is not Madiran or Sardegna or places like that that have had decades, if not centuries, to understand their soils and varieties. These places know who they are and we are still learning. However, these older regions are now making far better wines than they did a few decades ago due to advances in viticulture and enology. We’re very lucky as they had to wait for generations to take advantage of this knowledge and we get to use it all right now. We can improve our wines more quickly as we stand on the shoulders of giants. Why are we focused on varieties like vermentino, tannat and malbec? It’s simple. These are the right varieties for our soils and climate and they make better wines than easier to sell choices like pinot or cabernet. You have to make a choice. To me, it’s an easy one. If you want to bring real pleasure to peoples lives your wines have to have personalities as interesting as the people that drink them. What makes a wine great? New oak, power, price, big bottles, wood cases and fame? Not anymore. Maybe thirty years ago there was a wide gap between a few famous place names and the rest of the wines produced, which were often no more than rustic country wines for locals. This is no longer true. The gap has not only closed, but today those once rustic country wines can actually surpass the old guard in quality. It’s a new world of wine. I’m glad to be part of it. In-between the plonk and the pretense is real wine - real wine, real life, real pleasure. Troon Tannat and Malbec blocks looking west from the winery. This is exciting. This is what wine growing should be about. We’re planting more Tannat - a temptation I can’t resist. Yes, Tannat, nothing could be more refreshing than being out of the “fighting varietal” business. I believe Tannat is a variety that can define the Applegate Valley. Tannat in southern France is famed for its tannic rage, but our granitic soils take off just enough of that edge to reveal a distinctive Southern Oregon personality - all without taming its wilder side. All of our Tannat is grown on our estate vineyard on the higher, second bench of the Applegate River Valley. Europe is full of regions like Madiran and Cahors, places Tannat has traditionally called home. Many appellations like these that almost died a few decades ago are now reborn and vital due to better winemaking and viticulture - and enlightened consumers. Happily the wine energy today seems to be shifting away from Bordeaux, Burgundy, Napa and so on to new regions and new varieties. As Leonard Cohen sang, “Hallelujah”. These wines are not new to me. In the early 80s I was introduced to the hedonistic pleasures of less than famous place names by Christopher Cannan in France and Spain and by Neil Empson in Italy. At Direct Import Wine Company in Chicago I aggressively imported wines from Madiran, Languedoc-Roussillon, Bandol, Le Marche, Puglia, Priorat and others. They were not easy to sell even at ridiculously low prices, but they were very easy to fall in love with. Of course, I was importing a small cadre of visionary, elite producers that were, in those days, leading the way for their appellations. Today there are many famed producers from these regions and most of the wines I first imported are now, rightfully, famous and not cheap. Some of you may have tasted previous vintages of Tannat from Troon Vineyard, but those wines are related to these wines in name only. 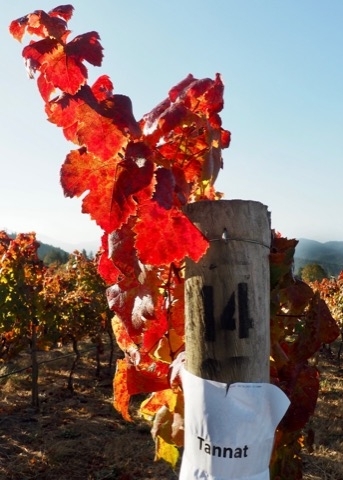 Starting with the 2014 vintage we moved to a natural wine growing and winemaking philosophy. Prior vintages were produced with conventional methods and it shows. These new Tannat releases are from grapes harvested from LIVE and Salmon Safe certified vineyards. 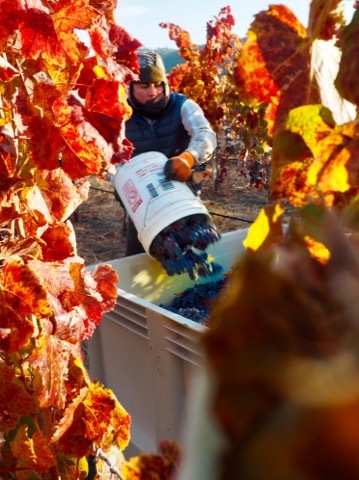 The pickers are the same hands that worked in the rows for the entire vintage. Upon harvest the bins are treaded by foot for skin contact and to encourage the native yeast populations. After a day or two, they are de-stemmed into small fermenters for native yeast fermentation and hand punch downs. There are no acids, sugar, enzymes or sulfur added to the fermenters. After fermentation is complete the wine is pressed into used French Oak barrels. No new oak is used. The wines are bottled after 18 months in barrel. 100% Tannat from our estate vineyard. This is unrestrained pure Applegate Valley Tannat. Deeply colored with intense dark fruit flavors and mouth-coating tannins, an in-your-face Oregon wine, yet it can seem restrained compared with many California wines. Despite the strength of this wine, I believe is not for long aging, but should be enjoyed over the next five years as it's better to revel in its youthful power rather than wait for a refinement that may or may not arrive. 169 cases produced. This is a co-ferment, not a blend, and that makes all the difference. Blending can enhance and lift the character of a wine, but a co-ferment creates a new wine all together. The unique chemistry of a co-ferment releases whole new ranges of flavors, aromas and textures that would never exist in a blend. We feel we've found the right balance with this vintage using 60% Tannat and 40% Malbec. The Malbec gives a round warmth that envelops the power of the Tannat to make a more complete and complex wine. The Tannat is from our estate vineyard and the malbec is from the Full Quiver Vineyard, which is contiguous with our estate. 240 cases produced. As much as I like these wines, they are just a beginning point for us - a launching pad. These wines are delicious, but the upcoming vintages still in the cellar - 2015 and 2016 - have gained in complexity and depth as we learn more with each vintage. It’s a thrilling voyage. It's time we defined natural wine. How hard can that be? Apparently it's very hard. It's a concept that was badly named from the start. We started off calling climate change global warming and now every time it snows in an unusual place some nut declares that global warming is a hoax. Climate change means many things and the tenets of chaos theory prevail. A butterfly flaps its wings in Brazil and it ends up snowing in Miami. Chaos prevails in the natural wine world too, but with no theory to back it up. Natural wine is natural in the eye of the beholder. Industrial wineries are now certified biodynamic and vie with the smallest artisan for the natural mantle. At the other end of the spectrum are micro-wineries where “winemakers" without the chops of serious home winemakers claim possession of The Holy Grail as they sell their funky wines loaded with brett, VA and every fault you can imagine to sommeliers, media and consumers addicted to difference for its own sake. As usual, you find the real deal somewhere in the middle. At the same time, all this confusion is liberating. It means that every winemaker can define the term themselves. So this is what it means to me. There is no doubt in anyone’s mind I know that farming your vineyard using sustainable (low input) farming makes for better wine grapes. In many ways sustainable certifications like LIVE are actually more rigorous than organic certifications, which only look at your applications while LIVE reviews your entire property and method of operation. However some sustainable certifications (each wine region tends to have its own) still allow limited use of things like RoundUp so what qualifies as 'certified sustainable' varies from region to region. In Oregon, LIVE is a tremendous organization that takes its certification process very seriously. As a result, I don't feel getting organic or biodynamic certifications are required for what I consider natural wine. I remember talking to one organically certified grower that was using forty pounds of sulfur per acre a year. Certainly that's not sustainable or natural. Cultured yeast is evil. Anyone who has any extensive wine tasting experience knows that statement is ridiculous. I've had extraordinary wines produced from cultured yeasts and undrinkable ones using native yeasts. Still, I believe that native yeast fermentations allow dimensions of terroir to show through that the more aggressive cultured yeasts overwhelm. However, it makes a huge difference depending on what variety you're fermenting and where it was grown. Native yeasts don't have the same impact on cabernet sauvignon from the Napa Valley that they have on varieties like pinot noir or tannat grown in Oregon. There is no winemaking recipe that can be applied to all varieties grown in all regions. All yeasts are natural so using what is best suited for each region and variety is the real natural choice. Using any sulfur at all is evil. Another ridiculous idea. Anyone who has gone out of their way to taste large number of "natural wines" understands that the rigid banning of any sulfur in winemaking all to often means severely faulted wines that offer no pleasure. What is also clear is that sulfur is not only overused by most winemakers, but used with little thought. This topic circles back to the cultured vs. native yeasts debate as winemakers using cultured yeasts whack their new fermenters with sulfur to kill off the native yeasts. Here is a point that you can argue truly separates 'natural wine' from conventionally produced wines. I believe it is during the very early part of the fermentation that native yeasts make their statement. Even in a native ferment, eventually the more aggressive Saccharomyces yeasts kill off the other yeast strains and finish the fermentation, just as they do from the start when cultured yeasts are used. In a native yeast fermenter many different strains are at work early in the fermentation and it is during this time they make their mark. So I believe adding sulfur in the fermenter is not a natural decision, but adding some during aging and bottling is a natural choice, in fact, it's simply good hygiene. Obviously these additions need to be minimal, but very low level additions of sulfur greatly enhance a wines stability and therefor its enjoyability. There are varieties and regions that love new oak and those that are ruined by it. Unfortunately there seems to be little recognition of this by winemakers and consumers that think the flavor of new oak barrels define quality wine. Obviously in Bordeaux and Napa new oak barrels can elevate and add character to the wine. Whether they use too much new oak is an argument for a different article. However, most varieties and regions have their entire personality overwhelmed by the use of new oak barrels. Oak is not wine. Trees are not grapes. I tend towards wines with flavors uninterrupted by oak. The real reason barrels are important is that they allow controlled amounts of oxygen into the wine, which keeps it healthy and allows it to develop. Logically, flavors imparted from the wood of the barrel itself should not be considered a positive thing. For some reason, as I've been getting older I find new oak flavors unpleasantly intrusive in wines. One thing for sure, new oak is a flavoring in a wine, an additive and that's not natural. Natural does not mean dirty. Faults are faults and they are not pleasurable unless you talk yourself into it. I remember in the early 80s reading about the delicacy and freshness of Fino Sherry, but the wines I tasted in the United States were anything else. We talked ourselves into liking them. Then I visited Jerez and lo and behold they were fresh, fruity and more like rich white wines than fortified wines. The same for Burgundy, which thirty years ago were mostly so funky you could not recognize them as pinot noir. They were not fine wines, they were classroom examples of wines destroyed by brett and winemakers in Burgundy today would be horrified by them. Wines, natural or not, should be bright, fresh and devoid of basic winemaking faults. That is not to say squeaky clean is best, squeaky is normally boring and industrial. A bit of funk - brett, VA and so on can be extremely interesting and make a wine compelling. A hint is a good thing, but a wine dominated by these characteristics is just plain badly made. A good wine always tastes good. Bad wines do not magically become good with time. Every top quality wine I have been associated with always tasted good. The vines looked good, the grapes tasted good, the fermenting juice tasted good, the press wine tasted good, the barrel samples tasted good, the blending samples tasted good, it tasted good right off the bottling line - good wines always taste good - they just keep getting better. That's natural. What is truly natural about wine is that good wine delivers equal amounts of pleasure and intellectual stimulation. That's a broad concept as it applies to $10 wines and $100 wines, but in different ways. The simple pleasure parts of wine come from its color, aromas, flavors and, yes, the alcohol. The intellectual part comes on different levels. Often a good simple wine can improve our conversations and our relationships as we spend time together at the table. Then there are wines that are so complex they literally transport us to a state of introspective mediation as we engage with the many layers of experience they offer as they expand our consciousness. Each of these experiences naturally makes us more thoughtful and enlightened human beings. Wine did not come naturally to me. I had no experience with it as I grew up. I don't believe I ever saw a bottle of wine on a table until I was almost twenty years old. My first real experience with wine came when I was a student studying in Europe when I was in college during the 70s. The wine I first experienced never saw a bottle. Served in a carafe at the winery it was fresh, clean, lively, refreshing and most certainly natural. Naturally, I could not resist and for over three decades wine has been my life. What is natural about wine is that it is inherently natural. Anything that is not natural about wine is probably something that wine does not need. Grapes are natural, yeasts are natural, sulfur is natural, wood is natural and it is natural that we enjoy wine. Spinning cones, enzymes, concentrates, additives and reverse osmosis not so much. What is natural wine? Naturally, I believe I have the answer. That's how nature works. A half-bottle for dinner is just about right for me. Sure, sometimes I may yearn for just a half-glass more, but more often than not memories of what that's meant the next day encourage restraint. I can enjoy a half-bottle (almost always meaning half of a full bottle) and feel fine the next day - sometimes. I've learned it's not just the amount of wine you drink, but which wine you drink. Or perhaps I should say where the wine comes from. Drink a half-bottle of Beaujolais and I feel great in the morning, when it's a half-bottle of Napa Cabernet not so much. More and more the wines I enjoy the most are gentle on the soul - and the body. That means wines of naturally moderate alcohol levels. Wines that push seriously north of 14% are different beasts than those 13.5% and down. They not only taste different, they do different things to your body. If you like to enjoy wine as a daily beverage with your dinner the difference is significant. A half-bottle of wine at 13% is a whole different thing than one at 15% - and don't kid yourselves with what's printed on a label. A Napa Cab labeled 14.5% is more often than not over 15% and it's not unusual to find them actually approaching 16%. Remember Corison is the exception, not the rule. When you give up 1% in alcohol you don't need to give up a percentage of flavor. Interestingly enough you also tend to spend more than 1% less money. There is a glorious range of wines to discover with moderate alcohol levels. France is full of them as are areas of Italy, Oregon, New Zealand and Germany. Even sunny California has its examples (try Dirty & Rowdy or Two Shepherds for examples). In general you'll find cool wines like these come from cool places. Over the years my own cooking seems to have become lighter and lighter. Large pieces of meat have gradually disappeared as fish, chicken, pasta, grains and salads are on our dinner table. There was no plan it just evolved over the years as my tastes slowly changed. As my cooking changed my wine selections became lighter and lighter to match the meals I prepared. Eventually the big wines and bigger steaks I liked in my younger days slowly lost their appeal. Heaviness and deliciousness no longer intersected. Life is pretty dull without a splurge once in awhile and great, powerful wines are indeed very splurge-worthy. Great meals, special dinners at home and just rewarding yourself are occasions when alcohol levels are something to be ignored. All that's important is how much you love that wine. There's nothing inherently evil about higher alcohol wines. However, daily enjoyment with simpler meals calls for lower octane wines. There is nothing in the world I love more than a great Barolo or Barbaresco and they easily hit the 14.5% range, but as much as I love them they are not everyday wines (although if I win the lottery I may change my mind). Fortunately for me it’s easy for me to gravitate towards lower alcohol wines as I learned to love wine in the late 70s and early 80s and wines over 14% were the exception to the rule - even in California. I understand it may be harder for younger wine drinkers whose palates have been deadened by years of high alcohol wines combined with the residual sugar that tends to go along for the ride. However, like so many things in life, once your palate is awakened to the elegant, refined and restrained flavors of these lower alcohol wines you'll find that many wines you used to love clumsy and one dimensional. Acidity and freshness are hallmarks of most wines with naturally moderate alcohol. I can hardly think of two things I treasure more in wine. As feeling fresh in the morning is something I also treasure it seems I've lucked out. I think I'll have another glass. Vineyards covered with snow give me a sense of completion. The 2016 vintage has come to an end. Winter is a true turning point when you turn your gaze from the last vintage towards the new one. Soon we will be pruning and the cycle will begin again. The rhythm of agriculture is comforting. I think the pace has been built into our psyche over countless generations. There is always risk in agriculture, but there is little we can do about it. To farm is to accept what nature gives and then making the best of it. Working in a vineyard where there is real winter feels different than farming in warmer places where winter is more an idea than a fact. In the Napa Valley you start thinking of how early bud break will be in January. In the Applegate Valley when you look at your snow covered vines bud break is not the first thing that comes to mind. I think a bit of real winter is good for the vines. They are exactly sure where they are in nature’s cycle today. Certainty about your place in nature is a good feeling. You need a license to drive a car. Permits for hunting and fishing are required. In general if it’s dangerous you need to prove you’re competent to get a permit. Perhaps winemakers should have to get a permit before they're allowed to use new oak barrels. Admittedly new oak barrels are not dangerous to people, but they can be very dangerous to wine. Today's wines rarely taste of basic mistakes in the cellar. Cultured yeasts, enzymes and cutting edge machines that can take out almost anything have seen to that. But the neutral ripe black-fruited wines produced by these techniques are, to say the least, boring. So new oak flavors sing a siren's song that few winemakers can resist. If new barrels are not an option, no problem. There are inner-staves, chips, powders and many other products made out of oak to bring those flavors to your wine. There’s the problem isn’t it? The whole idea of “bringing flavors” to a wine should be controversial. After all, wine critics look down their nose at Retsina, spiced wines or any wine that has something added to alter its flavors. Yet when it come to new oak, they’re suckered in with an almost religious fever that anoints these oak flavored wines with big points. The concept of terroir is dear to wine lovers around the world. Yet can you think of a bigger enemy of terroir than the pronounced flavors of new oak? If you mostly taste the oak, you are not tasting the wine. That is not to say these flavors can’t have their place. Certainly cabernet sauvignon and other Bordeaux varieties can be lifted to new heights with the judicious use of new oak. However, there are so few varieties and appellations that use or benefit by the use of new oak that perhaps more winemakers should step back and reconsider its use. Just because new oak flavors are associated with the two of the most famous wine regions should not be in itself a reason for a winemaker to equate those flavors with quality. The worldwide success of cabernet sauvignon and the exalted status of Bordeaux, and now the Napa Valley, has established the taste of new oak itself, instead of the flavors of the land and variety, as the goal to be coveted by many winemakers and sought out by consumers. This, of course, is much more a New World than an Old World problem. Most of the other European regions that flirted with new oak in the 80s and 90s have backed off and returned to their more traditional methods. It was sad to see some Italian producers destroy the character of classic, individualistic wines in Piemonte and Toscana during this era. Fortunately, almost all of those producers have either severely reduced their use of new oak or abandoned it all together and returned to making wines true to their regions and varieties. As it turns out, it's good business to be different in the world of wine instead of tasting like you could come from anywhere. In fact, now Barolo has almost become the new "Burgundy" with rare single crus, high prices and allocated wines. Then there are “oak products” like inner-staves, chips and powders that are added to a wine simply to add that oak flavor. These producers are doing the same thing ancient winemakers did when they created wines like Retsina. The pine flavors covered up other faults, which is exactly the reason “oak products” are used in winemaking today. The most important purpose of a wine barrel is to allow controlled amounts of oxygen to interact with the wine, not to add flavor to it. Obviously these oak products don't have anything to do with the amount of oxygen the wine is exposed to as they only add flavor. They create the modern version of Retsina. There is using new oak as part of your basic manipulation winemaking recipe, or there is using new barrels like a great chef uses herbs and spices. A soupçon here and there brings a dish to life, too much and you become TGIF. Wine with too much oak makes me think of pizza. On one end of the spectrum you have Pizza Napoletana with its thin, crisp crust graced by light touches of the finest ingredients. Then you have Chicago deep dish pizza where a single slice has more gooey cheese than two, maybe three, whole pizzas in Naples. In Italy one person can eat a whole pie, while two slices of Chicago deep dish is a gut buster. I grew up loving Chicago style, but once I tasted pizza in Italy I could never go back. This is the choice a winemaker has with new oak. What kind of pizza do you want to make? The use of new barrels is very much a decision that should be made by variety and region. For example, here in the Applegate Valley it has become very clear to me that new oak barrels are just not a good idea. The wines here are too graceful and refined with naturally silky tannins and layering new wood flavors and tannins on top of them buries the character that makes this place a special wine growing region. There are more regions like this in the world of wine than there are those like Bordeaux and Napa. Like most fashions, even the use of new oak in winemaking has reached its logical extreme. For some, even 100% new barrels was not enough and now there are wines with 200% new oak. How is that possible? Simple, after its first year in a new barrel you transfer a wine into yet another brand new barrel for another year or more. The resulting wine is, of course, 100% devoid of terroir and 400% more expensive. Such is the new math of wine. While we won't be issuing new barrel permits to new winemakers, perhaps we could at least consider learner's permits? No new oak barrels for five years? Certainly learning how to make good wines without the crutch of new oak, from either barrels or oak products, would make for better, more thoughtful winemakers. In the meantime, it's in my interest that winemakers retain their addiction to new oak. Every year I can buy beautiful French Oak barrels thoughtfully broken in for me by other winemakers. I can buy these one, two, three and four year old barrels at a tiny fraction of what they cost new and then have the pleasure of using them for years to come. Come to think of it forget the permits idea, I hope they keep using them. The top 100 wine lists are pouring out of wine critics as usual this time of year. The top 100 lists are scattered with 100 point wines. There are a hundred reasons that these hundreds aren’t worth a C-Note. Is there a perfect wine? Can you reduce the thousands of wonderful wines in the world to the 100 best? A hundred says if you think so you are either selling wine magazines or spending too much for wine. Another hundred says you’re missing out on hundreds of wines that are exciting in hundreds of ways you’ve never even considered. Yet, last night I had a 100 point wine. Well at least it was was a 100 point experience for me at that exact moment in time. This wine was perfect at that moment, with that meal and because I was 100% ready to appreciate the hundreds of things that made this a perfect wine. It’s possible that I could have this same wine hundreds of times in the future and never again will it be that perfect 100 point wine epiphany. It will certainly be wonderful, but not perfect. That’s because perfection in wine is fluid, it’s hundreds of things coming together at just the right moment to make my experience of that wine perfect at a precise point in time. This perfect wine last night was 2006 Sottimano Langhe Nebbiolo. A wine that cost me all of $24 when I bought it about eight years ago. What made this wine perfect? First it was made by my friend, the extraordinary winemaker, Andrea Sottimano. Second, I know the story of this wine. The Sottimano family had just purchased a site in the famed Basarin Vineyard in Barbaresco when I was visiting them some years ago. While the Sottimanos could have called this wine Barbaresco, they decided to only label the wine as a Lange Nebbiolo even though this meant they would have to sell the wine for a much lower price. The reason they chose to do this was that their vines were “only” fifteen to twenty years old at the time. In the New World we would have called wines from these vines “Old Vines” on the label, but for the Sottimanos it was not yet worthy of the Barbaresco name. Now at its tenth birthday, this wine radiates a beautiful purity that outshines many famous Barbarescos selling for many times the price. This stunning wine was a gift from the Sottimano family to all of us. Also, I had made the effort to nurture this bottle for eight years. I had a relationship with this bottle. I selected this wine then spent the afternoon cooking. First homemade chicken stock filled the house with wonderful aromas. Then I made Umbrian Farro in a risotto style with chicken from the stock pot, the day’s chicken stock, leeks, tomatoes and grana padano. It was everything I hoped it would be and the harmony of the wine and food was memorable and emotional. All of this came together to make my 100 point wine. The memories of my friend and the inspiring story of the choices their family made to create this extraordinary bottle on my table combined with a relaxing day in the kitchen filling the house with enticing aromas and creating a dish just as delicious as I imagined it. Hundreds of things came together at one place and time to create one unique, perfect, experience and a perfect wine. The farmers that nurtured the grapes, farro, chickens, celery, carrots, garlic, tomatoes, onions, oregano and my respect for what they created all came together at one point in time and created my 100 point wine. People make their top 100 lists and rate wines 100 points, but for me perfection in wine is not quantified by numbers, but in feelings. Wine brings happiness and pleasure to our lives. It is not a math problem. A hundred of this or a hundred of that and every once in awhile you find that perfect moment. I don't have a top 100 wine list for 2016 because each year there are hundreds of small moments of perfection that together make the year my own. Sometimes perfection is to be found in simplicity and other times in complexity. These perfect experiences are to be treasured as they can never be exactly repeated. The next one will come when you are ready for it. It is not something that you can buy or put a number on. Perhaps one hundred is the loneliest number. Why limit yourself? Natural wine and biodynamics seems to promote irrational flame wars on the Internet. I have faith in science and personally have trouble buying some of the more voodoo practices myself. On the other hand I can’t argue with the results. Many of the wines I find the most compelling are made using natural winemaking concepts and from vineyards farmed biodynamically. My goal is to become rationally natural. The intensity of these debates is hard to comprehend after you’ve fermented two hundred tons of fruit without a bag of yeast in sight. My vision of becoming rationally natural is simple: only do what you have to and when you have to do something don’t use bad stuff. Simply minimize or eliminate inputs everywhere. There is something emotionally rewarding about simply putting grapes into a fermenter and removing the lid a few days later to find fermentation starting without a bit of help from you. It makes you feel more connected to the wine. However, this is not magic, it’s science. When winemakers use cultured yeast strains they knock-off all the indigenous yeast with a dose of sulfur. Then they add their selection of Saccharomyces cerevisiae and it’s off to the races. When our grapes go into a fermenter no sulfur is added so the indigenous yeasts start a less direct process. At the beginning of our fermentations many types of yeasts are present to compete with each other for food. One of the reasons yeast cells produce alcohol is to kill off the competition - not the best system as eventually they kill themselves off. As the fermentation continues the weaker strains of yeasts are killed off until at the end only Saccharomyces cerevisiae, the bad boys of the wine yeast world, are there to take the wine to dryness just like those using cultured yeasts. The difference is that with many types of yeast having been part of the fermentation each adds a nuance, no matter how small, that adds layers of complexity to the wine. I find wines fermented with indigenous yeasts to have more complex aromatics and a different feel on the palate. Texture in wine is very important to me and I believe much of what consumers refer to as taste is actually the texture of the wine. Building texture is a priority in winemaking for me and I feel fermentation with naturally occurring yeasts enhance the mouthfeel of a wine making it more lively and fresh. Often I find wines fermented with cultured yeast to be more one-dimensional, more focused on basic, straightforward dark fruity flavors. However, certainly this is not always the case as there are hundreds of outstanding wines made with selected yeast cultures. Obviously what yeast you use for fermentation is only one part of what makes winemaking natural. Personally I’m not big on certifications. I like the idea of taking the best of each and weaving your own relationship to the land and your wine. There is something to be learned from biodynamics, organics, the ideas of Masanobu Fukuoka in the One Straw Revolution and many others. Studying all of these concepts and finding the practices that match your vineyard and region is the best solution for me. The only goal should be what will help me make the best wine possible. Just choosing one discipline does not well represent the complexities of nature. Being rationally natural is simple: only do what you have to and when you have to do something don’t use bad stuff. That makes sense to me both scientifically, emotionally and rationally.